I suppose I am a new kid on the block. I have been a member of the General Synod since the 1990s, for Dublin and Glendalough dioceses. But I moved to the Diocese of Limerick, Killaloe and Ardfert earlier this year as Priest-in-Charge of the Rathkeale and Kilnaughtin Group of Parishes. I want you to think for a moment of what your images of Rathkeale are. It is 30 km south-west of Limerick, in a pretty location on the banks of the River Deel. It was once the second largest town in this county, with a lively commercial life and elegant Georgian and Regency townhouses. And it was also the centre for settlement 300 years ago of the Palatine refugees, German-speaking Lutheran refugees fleeing religious persecution and arriving in Ireland with no knowledge of English, different expressions of their faith, and different habits in farming, house-building and family structures. They became completely integrated into life here and today, perhaps 30 to 60 per cent of my parishioners have some Palatine ancestry and heritage. ‘High time’ for resolution to bad behaviour in Rathkeale (Limerick Leader). Limerick gardaí seize valuable rhino cup in Rathkeale (The Irish Times). Notorious Irish Rathkeale Rovers crime gang in the frame for theft of rhino horn from Thoiry Zoo in France (The Sun). More gardaí for Rathkeale’s big Christmas (Limerick Leader). Part of my role in the parish means being involved in the Rathkeale Pre-Social Cohesion Group, which began work in September 2013 under the leadership of Bishop Trevor Williams with David Breen as a Field Worker employed by West Limerick Resources. David was working in Rathkeale for the previous five or six years with various State-sponsored projects, but each of these had collapsed either because of funding problems or policy changes. The project was a response to the problems in Rathkeale and the lack of community relations that developed here over half a century. The conversations that lead to the project involved Bishop Trevor Williams, my predecessor, the Revd Dr Keith Scott, Bishop Alphonsus Cullinan, who was then the parish priest of Rathkeale, and others. The chair of the group is Dr Salters Sterling, from Birr parish, also in this diocese. The result is this project that is a faith-based, ecumenical approach, supported by the Church of Ireland, Methodist and Roman Catholic clergy in Rathkeale. The work has received major funding from the Irish Public Bodies Mutual Assurance, amounting to €150,000. Financial support has also come from the Church of Ireland Diocese of Limerick and Killaloe, the Priorities Fund of the Church of Ireland, the Roman Catholic Diocese of Limerick and Parish of Rathkeale, from Professor Thomas Mitchell, former Provost of Trinity College Dublin, and from the Hinterland Funding available to the City and County of Limerick. This funding has sustained this work for four years or more, and a grant of €6,250 from the Church of Ireland allowed the group to organise facilitated meetings with the Revd Dr Johnston McMaster and Dr Cathy Higgins from the Irish School of Ecumenics. When the group began its work, the only one point of communication and contact between Travellers and the settled population in Rathkeale was the weekly Monday evening Prayer Meeting. The success of this Prayer Group gave the Pre-Social Cohesion Group a conviction that a faith-based approach might offer some new opportunities of engagement. The group has worked on shared faith activities on occasions such as Saint Patrick’s Day, Good Friday, Harvest and Christmas, and a day retreat in Glenstal Abbey. The Roman Catholic Parish Hall is being renovated in €13,000 project that brings together two communities with a shared objective, with the Travelling Community raising €2,385. A number of Travellers were present at my liturgical welcome in Holy Trinity Church. Rathkeale has a population of about 1,500 people. But it is impossible to say how many of these are Travellers. Many Travellers arrive from throughout Britain and Europe for Christmas in Rathkeale, and stay for a few weeks in houses, mobile homes and caravans. But by-and-large they are gone by Saint Patrick’s Day, or even before then, and are not around when it comes to Census Day. And even then, those who are here in April may be loath to fill out the Census returns. Officially, Travellers may account for one-third of the population, 500 out of 1,500 people. But there were another 370-380 caravans in Rathkeale last Christmas, with many more staying with families or in houses that are often boarded up for the rest of the year. So the population of Rathkeale doubles at that time of the year. The perception from outside is that these Travellers engage in criminal or sharp practices, laying watered-down tarmacadam, cutting trees, or selling electrical goods of questionable origin or branding. But on the streets of Rathkeale for people who see themselves as the residents, the main problems include the visible problems created by mobile homes and caravans parked in front of houses, in gardens and side yards, the behaviour of erratic drivers, stopping their cars on the main street for conversations or young men speeding and racing, in many cases without licence or insurance, and the numbers of young men who gather in large groups and are seen as being confrontational and intimidating. The people who see themselves as local people are alienated by the loud social behaviour, although – despite perceptions – there is only an occasional fight in public, and some incidental problems of shoplifting. The unseen problems include school attendance, and the major problem may be the change in the landscape of Rathkeale. Irish provincial towns are suffering social and economic setbacks, and without the presence of Travellers, Rathkeale would have suffered this problem too. Many shops have closed, but the irony is that many shops that would have been abandoned in other circumstances have been bought by Travellers, although they are used for storage or turned into family residences. The loss of shops means a drop in footfall, and a fall-off in business for the surviving shops. No local estate agent has had a serious inquiry about business premises in Rathkeale for a long time. The face of Rathkeale has changed, and the people who were once residents of Rathkeale mourn the loss of their town. They grieve the past, and they mourn for the future, for they have seen their graveyards and cemeteries transformed too by the Traveller taste in gravestones and burials. No Traveller goes to Church in Holy Trinity Church, Rathkeale. Indeed, the social changes in Rathkeale mean that today there is only one resident Church of Ireland parishioner in the town; all the other churchgoers live outside Rathkeale, but still identify with it as their church. At present, there are three Traveller children in the Church of Ireland national school either. At Sunday masses in Rathkeale, at least half the congregation are Travellers. They are buried in large numbers in Saint Mary’s and the other neighbouring cemeteries, and you would recognise their graves. Their particular expression of piety is seen visibly in their gardens and in their home decoration. At the Good Friday ecumenical service, as Travellers approached me and the local Methodist minister, and asked us for prayers, not so much for themselves as for other family members, I realised too that the priest, no matter what the Church, is a respected person, and that the office alone gives me opportunities to engage with Travellers that are not offered to others. If we are to describe life in Rathkeale as ‘apartheid’ we might be using a misnomer. There are two separate communities, and they seldom interact, even when they attend the same Mass. One of the few points of interaction may be the Monday night prayer meeting, or perhaps watching the Saint Patrick’s Day Parade – although even that is a parade in two parts. But both communities have chosen this separation, have chosen to live apart. Even when they are sociable, they do not find true friends across the barrier. Rathkeale is never going to return to being the town it once was. So what does the project do? There is a need for advocacy. There is discrimination, and when it occurs those who are discriminating may only listen to a voice they can trust, and the Travellers may feel that they are not going to be listened to themselves. We are at a point where the two communities tolerate each other, but live apart. The two communities may stay apart, but that does not mean they cannot establish relations, get to know one another, no longer objectify each other. For the churches, being the outside third party helps to provide space for this, while both communities are still in a state of resistance. It is difficult. It cannot be organised. Travellers have no cultural expectation of being involved in or engaging with organisational structures. Accepted roles such as chairs, secretaries and treasurers, and understandings of agenda, agreement and general process belong to another culture. The Churches’ role in this group undoubtedly gives it a credibility it would not have if it was an initiative of another constituent of structured or secular society. What credibility does the Church of Ireland add to it? I don’t know if the Church of Ireland adds anything individually, but that fact that the churches are doing this together makes a difference, and none of the churches could do this on our own. Without the credibility that the Church of Ireland gives it, I have been told, the project would have collapsed long ago. And, apart from being asked by my bishop to engage with a project that my predecessor, the Revd Dr Keith Scott, was deeply committed to, why am I involved? I think the answer is provided by next Sunday’s Gospel reading (John 10: 1-10). This is what the Good Shepherd does. And lost sheep are not like the sheep in our stained-glass windows, modelled on the Little Lamb that Mary had and that followed her to school one day. Lost sheep get caught in brambles, are frightened, get lost, are not particularly appealing to look at when they are found. But those who are not wanted, who are pushed to the margins, who are out of right, are always worth the effort as far as Christ the Good Shepherd is concerned. The General Synod of the Church of Ireland is meeting in Limerick for three days this week, beginning with an opening Eucharist in Saint Mary’s Cathedral yesterday (Thursday 4 May) and continuing until tomorrow (6 May). This week, from Tuesday to Saturday, I thought it would be interesting to introduce readers to some of these buildings in Limerick. I have written about Saint Mary’s Cathedral and other Limerick churches and buildings in the past. So this week, I am looking at five buildings that are no more than five minutes’ walking distance from the cathedral. This morning, for my fourth choice, I am looking at Baal’s Bridge, linking Mary Street and Broad Street, and just two or three minutes’ walk from Saint Mary’s Cathedral. As a city at the mouth of Ireland’s longest river, the Shannon, Limerick’s bridges are of vital importance, connecting the north bank and Co Clare, with the south bank and Co Limerick. The principal bridges include Thomond Bridge, Sarsfield Bridge, built originally as Wellesley Bridge, and Shannon Bridge, built in 1980s. But this morning I am looking at one of the older bridges in the city, known as Baal’s Bridge. 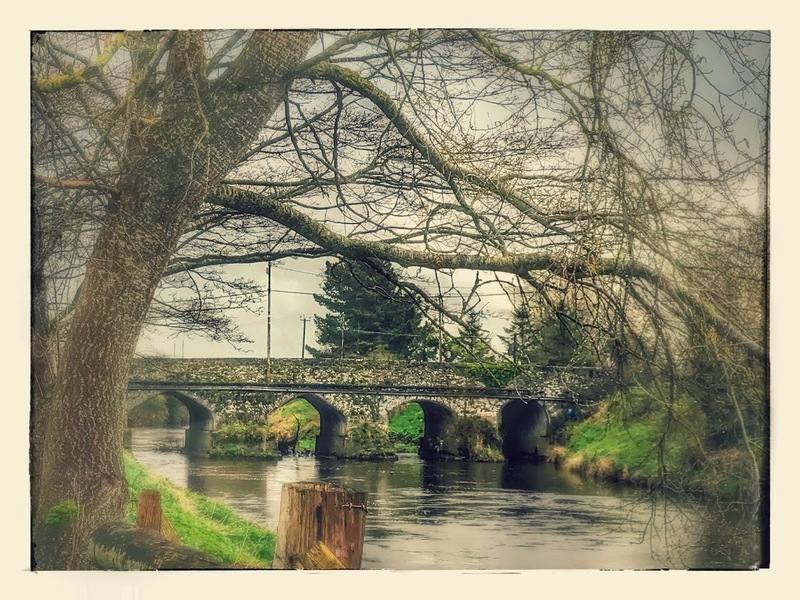 Local folklore says the first bridge here was built by a man named Baal, from Singland, near Castletroy, who was converted to Christianity by Saint Patrick. There may have been a bridge on this site, spanning the Abbey River, since 1174. The early Baal’s Bridge was an important four-arch bridge on this site from about 1340. Until the mid-18th century, it was the only link between the Englishtown and the Irishtown. The bridge was known in Irish as Droichead Maol Luimnigh, or the Bald Bridge of Limerick. The use of the word bald here suggests that the original bridge was without parapets. 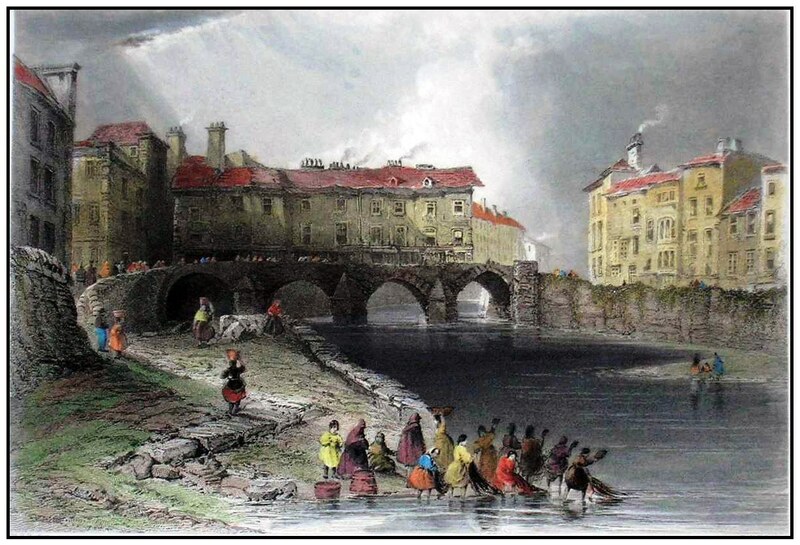 During the reign of Queen Elizabeth I, the bridge was known as the Tide Bridge. 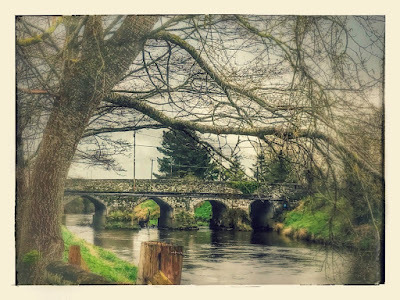 The old bridge was included in grants to the Earl of Shannon, whose family name was Boyle. So the bridge could also have been called ‘Boyle’s Bridge,’ corrupted later to ‘Ball’s Bridge’ or ‘Baal’s Bridge.’ In the early 19th century, there was some silly speculation that the bridge was named after the pagan god Baal. The old building had a row of houses incorporated into it, but by the early 19th century these houses were beginning to collapse. In addition, the old bridge was blocking traffic between the canal and the tidewater of the River Shannon. The modern structure is a single-arch bridge built in 1831 by the Limerick-based architect brothers James and George Pain, who also designed many church buildings in Co Limerick including Castletown Church and old rectory, the former rectory in Askeaton, and Holy Trinity Church, Rathkeale. This pleasant bridge has little decoration but displays quality stonework. It is a single-arched, hump-back, limestone bridge. It has quarter round breakwaters with stepped conical coping, a segmental-arch with rusticated rock-faced voussoirs, squared and coursed limestone ashlar walls with platband to the base of the parapet. There is ashlar limestone coping above reaching an apex. The curved abutment walls terminate with a rusticated rock-faced limestone pier to the quay walls with capstones. Building the bridge improved the route eastwards to Dublin, and the bridge is identified as Ball’s Bridge on the first edition Ordnance Survey of Limerick City (1840-1841) and on the 1872 edition.